This week’s material is, brass. Brass is one of the softer, and visibly speaking, visually pleasing metals a machine shop can work with. Brass is used for a wide variety of purposes ranging from musical instruments, to nautical products. 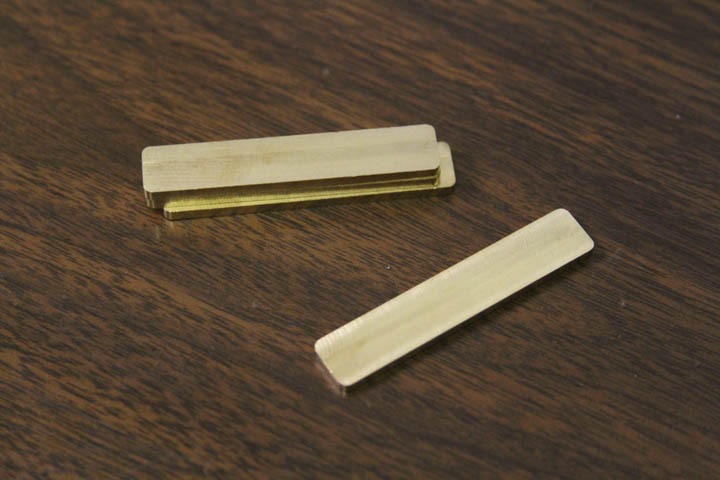 While it is not the toughest of metals, brass has many uses and different forms. Brass itself is actually a copper alloy, as depending on the type of brass, the copper content ranges from 53.5% to 86%. While copper is the majority element that makes up brass, the change in zinc and lead levels significantly vary the properties of brass and how it is used. Zinc and lead additions are what typically make the biggest difference between the brass alloys. Higher levels of zinc make brass a harder material, and also helps protect it against corrosion. 464 brass, also known as naval brass, is an example of a high zinc leveled brass at roughly 37-39% zinc. A small amount of tin is also mixed in to help fight corrosion. Lead is a naturally soft metal, and when it’s mixed with alloys it helps create softer, and more machinable metals. 360 brass, or machining brass, has the highest amount of lead of all the brass alloys. 360 brass is great for machining purposes, however using it as a forming piece does not bode well, as it is the most malleable of the brass alloys. Three pieces of 360 brass, awaiting their final machining. The most common brass you’ll see in a machine shop is 360 brass. This version of brass is high in zinc levels, but also contains the most lead levels of all the brass types (keep in mind that while 360 brass may have highest amount of lead content of all versions of brass, lead only accounts for roughly 2% to 3.5%). 360 brass is used for many different purposes, including decorative pieces and even functional pieces such as the hammer in the picture below. 360 brass is great for tool and die working hammers as it allows for the regular function of a hammer, yet does not dent or damage the harder tool steel. Brass hammers are widely used in the tool and die industry to be able to fit tight tolerance pieces, without damaging the tool steel. 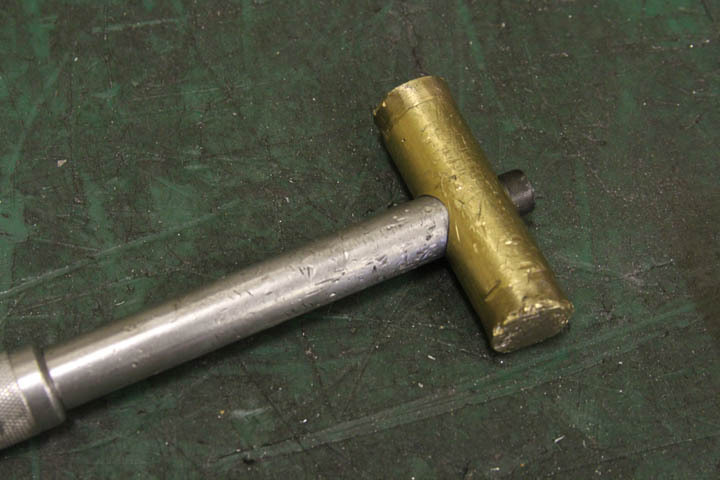 The brass hammer gets the brunt of the damage, but it’s much cheaper to replace brass pieces to a hammer than a progressive die. While brass is more expensive than standard steel, it still is a widely used, and very important material. Whether it be sidings on a boat, decorative pieces to lighting fixtures, or die shop hammers, brass is found in every corner of the world in many different functions. This entry was posted in Materials on January 22, 2014 by johnatmetalproducts.